LIFE, MADE TO ORDER. Welcome to the neighborhood…within the neighborhood. 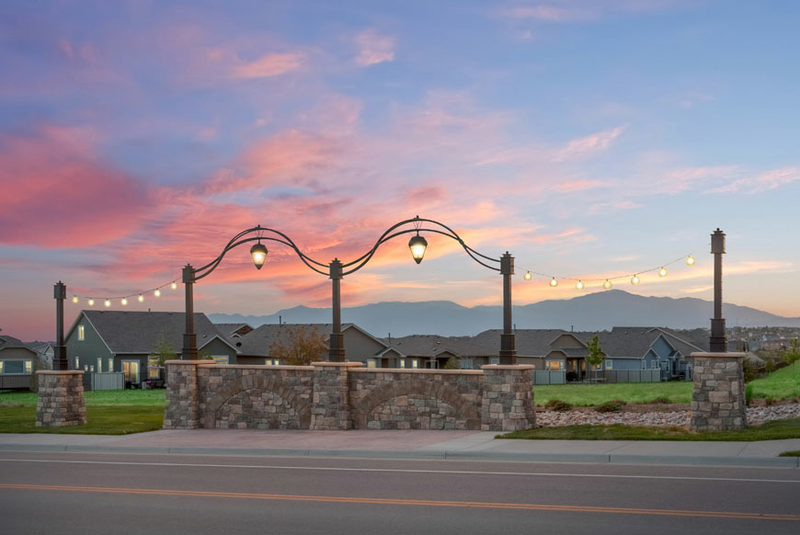 Stonebridge is an intimate, all-age enclave at the heart of Meridian Ranch in the Colorado Springs area. It’s a place where you can swap tomatoes (and tips) in the community garden. Explore 20 miles of trails and open space with breathtaking Pikes Peak views. Or hang out with neighbors at your own private clubhouse. And when adventure calls, the rest of Meridian Ranch answers with a 42,000-square-foot rec center, the Antler Creek Golf Course and the CreekView Grill, a delicious neighborhood hangout—all just steps away. At Stonebridge, an exclusive community within Meridian Ranch, life always follows your lead. Priced from the $300s, Stonebridge homes offer easy living and great entertaining. And quality, since they’re built by the best new homebuilders in Colorado Springs. For a limited time, homebuyers will receive two free one-year prime memberships at Antler Creek Golf Course. Ask a sales associate for details.